Why is it so hotttttt.... "pek cek" right? These days, the climate is changing and the unforgiving weather can get you on your nerves. To all my fellow friends out there, keep yourself hydrated and cool. Temperature is over 38 degrees Celcius, we are sweating at home, even with cooler on. Therefore, we decided to hit the road and go for our "HOT" dating. As usual, "Cincai lah" is our favourited spontaneous reply. Anyway, we hit the road and went to couple of famous places around Georgetown. Surprisingly, thanks to the "great" weather, there were not many souls at these usual-crowded spots. 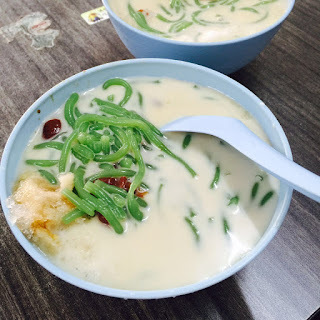 First we went to have famous Penang cendol. 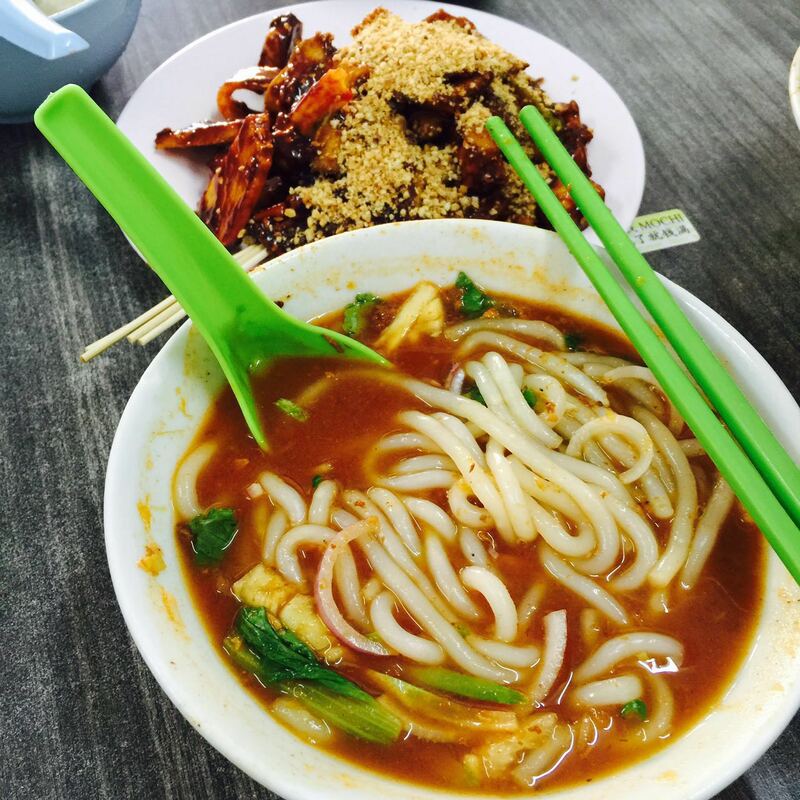 The Laksa and Rojak are MUST-HAVE too. The cendol is so damn good, filled with cold ice-shave and aromatic coconut milk, the best thing in the world at this moment. The rojak and laksa was splendid too. Generous amount of the black thick "rojak" sauce, sprinkled with lots of crushed peanuts, with little spiciness, on top of cold fresh fruits and dried "Yau Char Kway", you could only sing "What a wonderful world". Laksa was okay, typical Penang laksa, nice sour fish broth with smooth "laksa-tiao", purr-fect. Well, there is another Char Koay Teow stall nearby called Left-Handed CKT, apparently koayteow fried with left hand. Not a good choice in this weather though. The uncle is good at promoting his CKT, anyone who wants to try wont miss the stall there. Some hint, the prawn is BIG! We have another stop, coconut shake at Joez Coconut, near by Dato Keramat police station. 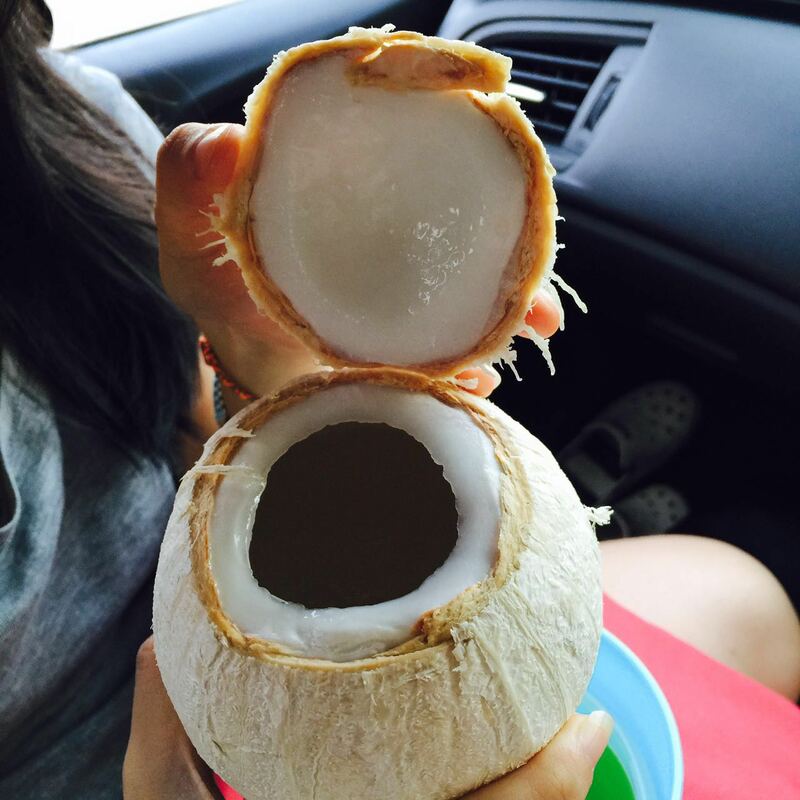 They sell coconut jelly. ice-cream, shake, etc. Perfect drink and dessert to beat the hot weather. Address: 201, Jalan Dato Keramat, 10150, Georgetown, Penang.